It's September but we still have great tomatoes and zucchini. My mom found this recipe, brought over the ingredients that my dad picked up from a local roadside stand, and I made the recipe. I love local summer tomatoes and then add cheese to them and bake until hot and bubbly? Heavenly. Not only was this a great side for dinner, I heated it up the next morning and served it alongside scrambled eggs and loved it. Layer zucchini in a single layer in a large baking dish; I used a 9 inch Corning Ware casserole dish (you want a deep dish). Sprinkle with some cheese. 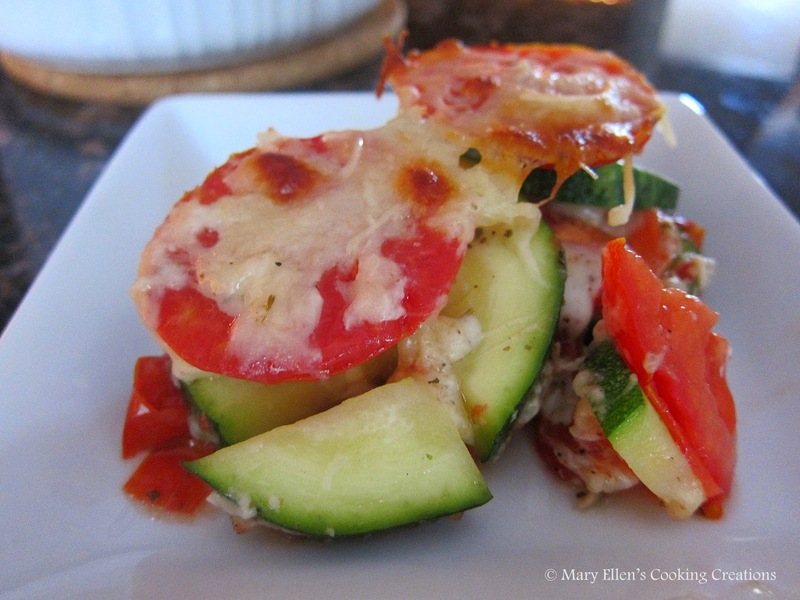 Layer tomatoes over the zucchini in a single layer; sprinkle with some cheese. 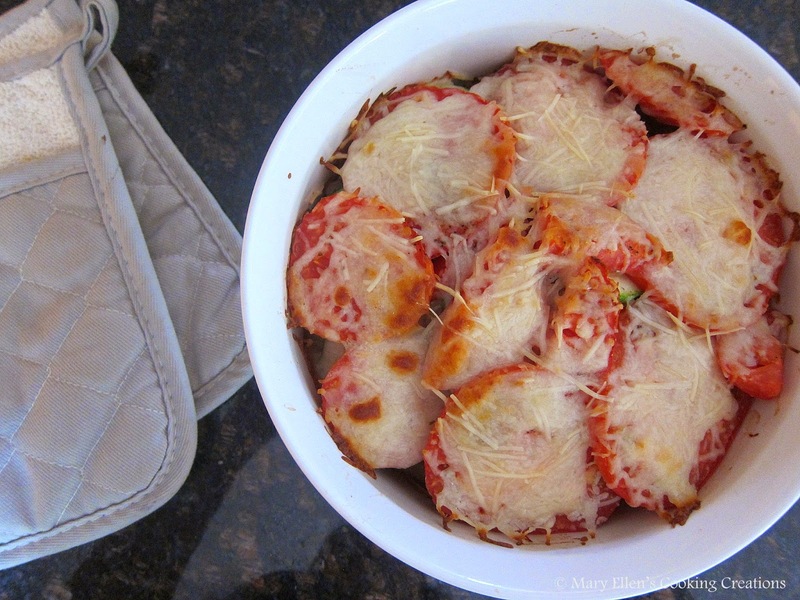 Repeat with a layer of zucchini, cheese, tomatoes, and the rest of the cheese.